I usually buy fabric with a vague idea as to how I'll use it, then change my mind several times, then change my mind again . . .you get the picture! BUT . 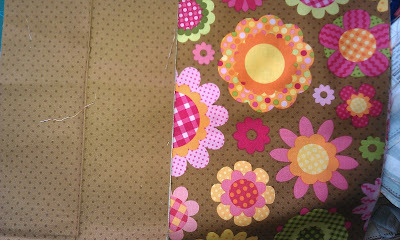 . . as soon as I saw these two fabrics I KNEW what I was going to make with them, and yesterday I got the urge! and just look at the scrummy yumminess that resulted!!! 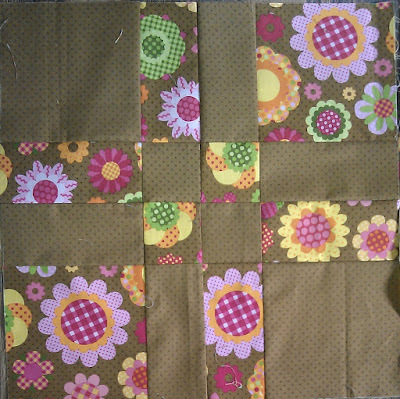 I am so in love with this combination, but have no idea what to call it, or what to do with it. Hopefully someone will have a baby girl soon!!! 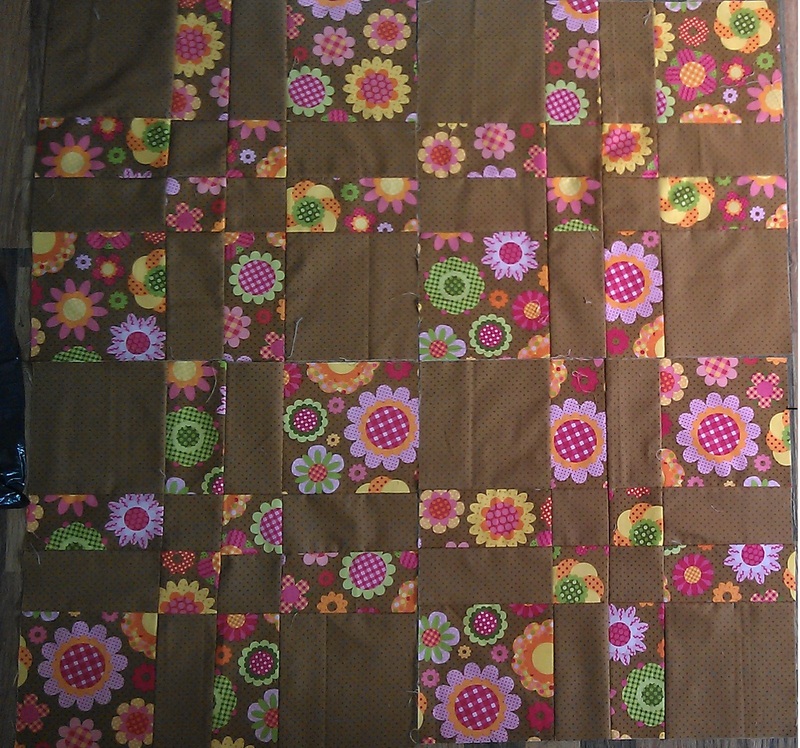 and hopefully a better name than "Brown & Flowers Disappearing 9 Patch" will occur to me!!! It looks like seeing a garden through a wicker fence. Very cute. 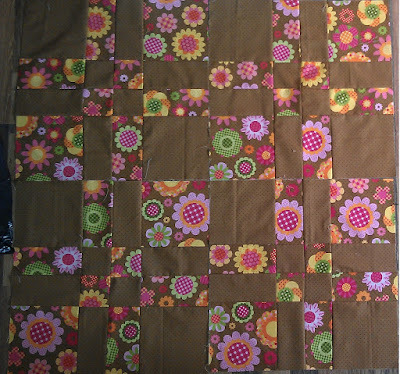 Still keeping busy, I see - and it's looking lovely. Ooh Chocolate and Flowers - yum! This is Yummy! I LOVE those flowers. So cute. The pattern is pretty groovy. Groovy gardens? Oooh, fab! How about Flower To The Power Of Nine? 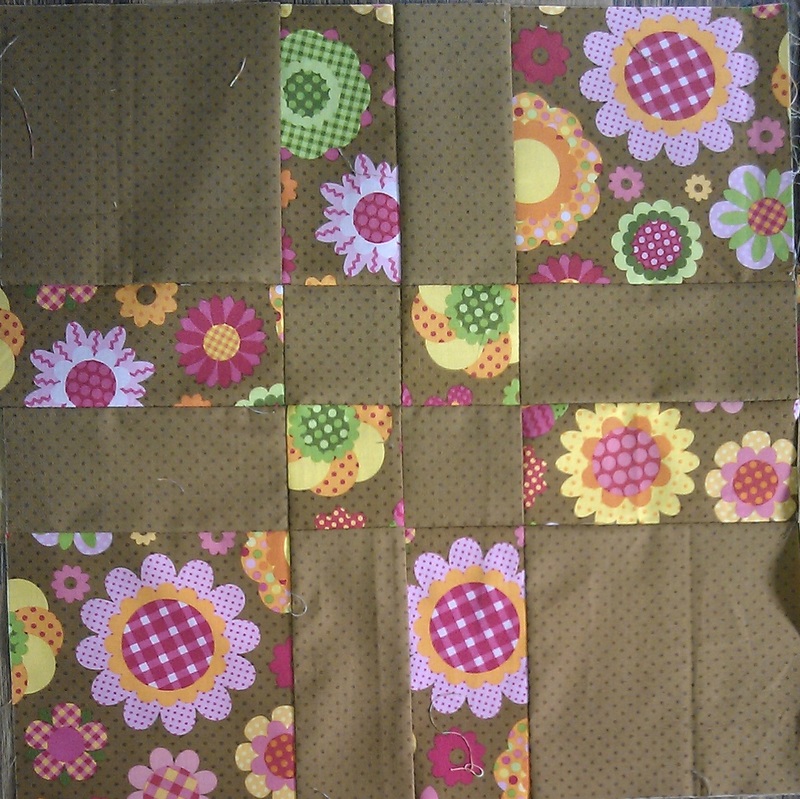 I love the fabrics, and I like that block. Very pretty!!! No Problem and would madame like anything else? ?